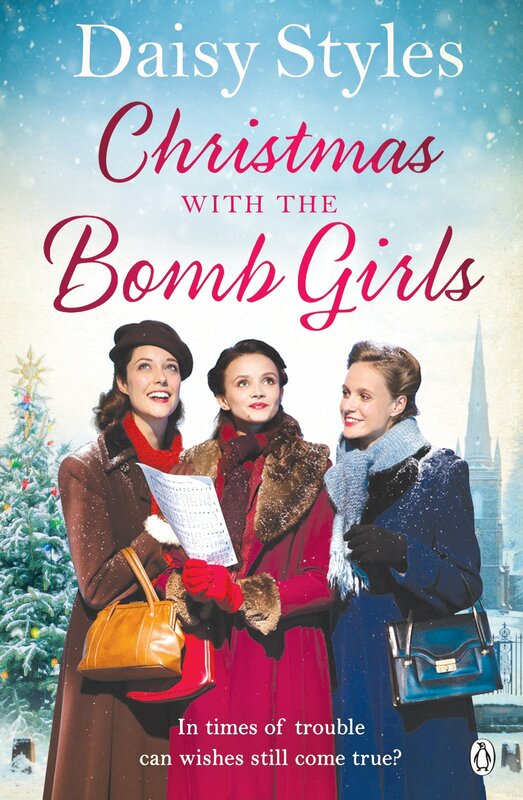 Sagas featuring a group of girls working together during wartime seem to be particularly popular at the moment, and this Christmas edition of the Bomb Girls is a representative sample of the type. This book is engaging and has enough jeopardy in it to be exciting and page turning, which is an achievement when the setting is largely rural and not affected by the London or any other city blitz. 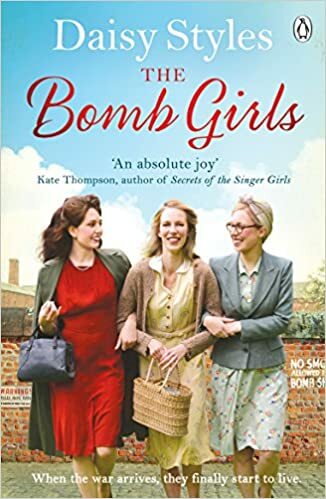 The characters were established in a previous book “The Bomb Girl Secrets” (the original “The Bomb Girls” was in the same setting but featured a different cast of girls), but it would be perfectly possible to read this book as a stand alone novel with enjoyment. This book draws its scope wider than the factory site and supporting village to great effect; and some of the newer characters bring with them problems that have not arisen before. Gladys is the singer of the group whose dynamic talent meant an engagement with ENSA and foreign travel to entertain the troops. However, as the book opens, she has returned to England in something of an uncharacteristically downhearted state. Edna, one of the older women associated with the group looks to be finding true love at last, but will she discover more? A new character, Rosa, appears as a new worker. Exiled from Europe by reason of her Jewish descent, she emerges as a fascinating character whose talents and affection for the other women goes some way to ease her loneliness and sadness. While Kit and Violet seem well settled after their traumas of the previous novels, they have new circumstances and challenges to deal with in this book which take their stories in different directions. It is Gladys’ story which dominates, as she experiences sorrow before heading off in different way. It is at this point that my major criticism of this book emerges; she finds herself in London which is still undergoing a Blitz which I felt was very late, and her work seems to hark back to the conditions of the First World War in the movement and description of the soldiers. Still, a real romance is discovered and some explanations are made. This book is certainly more than just a Christmas read, as much of the narrative concerns events long before the Christmas celebrations in which it culminates. It is a touching climax to an enjoyable novel which succeeds in many of the necessary elements of this sort of saga. It is a truly female led novel, in which virtually all the action is led by the women of the title. All of life’s major hurdles are dealt with in this well written novel which conveys many of the challenges of the wartime experience. I enjoy Styles’ writing which is mature and competent, given that she deals with some very difficult situations in this novel. I found Rosa’s experiences very moving and a different element to these books which are usually focused on the British circumstances in wartime. Despite my criticism this book is well researched and well written, and I recommend it as a good read. So we are getting near Christmas, and many other book bloggers are writing “best of 2018” type posts. I’m not sure that I am quite capable of going through all my posts and sorting out only ten, as I have read some really good books this year, some of which have been much better than I expected. Possibly I’ll tackle a highlights type post in which I look back on some posts. In a way, this is an easy to read romantic saga. It has it all; a group of young women up against a new and frightening situation, a wartime setting, challenges that will have an impact on their lives and not always in a positive way. Looked at in another way of course this is a book which poses the view that women, when acting together, are so much stronger than any other force. They can give each other the respect, self – belief and strength that they need to succeed, or at least survive. In some ways this book, though written recently, attempts to capture something of the spirit of life on the Home Front in the Second World War, when the absence of many men put women into a new sort of battle front. It is perhaps easy not to know, or appreciate, that young women were not only called up to do war work, but that it often meant relocating to new and perhaps very different places. While Emily and Alice are to stay local to the village they grew up in, they have to give their dreams and ambitions. Emily is a talented and innovative cook who dreams of becoming a chef, and she has already discovered love with Bill Redmond, a local man. Alice has a great talent for study and especially languages. Despite these skills, they are both called up to work on the munitions line in a factory. Lillian must relocate from Bradford, losing her hairdressing business, and she tries to take any measures to avoid conscription. Agnes has her tragic reasons to want to move into the area, making the best of her problems. Little Elsie sees a new hope when she sees the order to move as freeing her from the abuses of her family. The young women are put into a converted accommodation block, and together work to make life more bearable on the assembly line where one mistake could have disastrous consequences. Together they fall in love, discover new skills, and sometimes make mistakes. Situations arise which test each one to the limits, and yet they have to forge new friendships and relationships as people come and go with the fortunes of war. No day seems to pass without dramatic incident, and this book is anything but boring. Hope overcomes in so many cases, but there are still tragedies and concerns for each woman. Sometimes the melodrama seems overwhelming, but there still seems to be love and hope in so many circumstances. So much of human life is represented by this book, and it is an entertaining read. There is satisfaction in many of the developments and some shocks in this book; in the manner of a good drama many characters and situations are kept going as each is given its full weight. Some of the events strain credibility in some respects, but this is fiction and needs to keep moving and achieve satisfactory consequences. Each girl comes to show extraordinary gifts or courage in their way. It is a book which keeps moving, keeps changing, and is always interesting. Perhaps not to every taste, this is a largely affirming book of women making a contribution to the war effort and living their lives in the best way they can together. I think you will agree that this was another different type of book for review. Coming up in the next week or so I hope to post on a non fiction Tudor book, the latest British Library Crime Classic and some other books that have appeared on my radar. Meanwhile, a book group on Middlemarch – but who will have finished Eliot’s wonderful book?